Everyone has their go-to blow drying technique. Whether it’s upside down, with a round brush or in sections, it’s what you know and have always done. That doesn’t necessarily mean it’s giving you the best results you deserve, though. Martuscelli recommends taking the hair in smaller sections with layered hair. This way, it accents the dimensions of your style. To get a flippy-layered look, wrap your hair under the brush and roll the ends quickly upward. Over-directing your hair is a simple way to achieve bouncy curls. To finish it off, use the brush as if it were a roller. Wrap the hair around the brush, and cool sections by using the back of blow dryer for a couple of seconds. After you release them, wrap hair in a pin curl for a few minutes to hold curls. Put a nozzle on your blow dryer to maintain control and achieve pin straight hair. Using a round brush, section hair about four inches below the roots. Instead of moving the brush, move the blow dryer up and down the hair until dry. 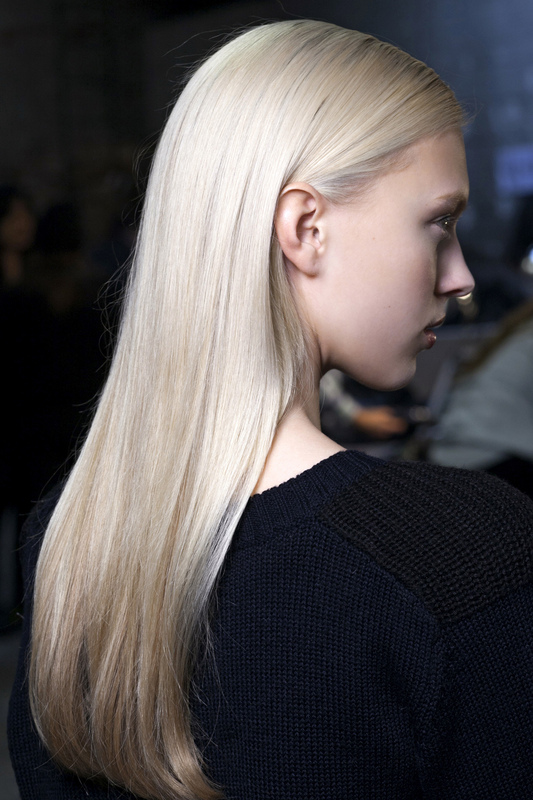 “Tension is important for shiny, pin straight hair,” explains Martuscelli. When you get to the ends of your hair, do not roll under. Instead, keep hair flat on the surface of the round brush. To start off, blow dry with your head upside to give roots a lift. When you flip your head back over, start drying from the top and lift your hair as you dry. “It’s best to place the nozzle under the brush at the root and roll ends.” When cooling, move the sections to the opposite side.